Talking of SEO, especially about keyword research and backlink analysis, the two major tools popular in the market are SEMrush and Ahrefs. But, another similar tool that matches the standards set by these tools and even better is Serpstat! Serpstat is surely one hell of an amazing SEO tool. In this article, I shall be reviewing the same. One impressive factor about Serpstat is its amazing UI and its real-time tracking of SEO metrics, getting a watch on the top competitors, and audit backlinks. The features provided additional value to the SEO campaigns. If you haven’t yet tried Serpstat, you can sign-up for a free trial today. 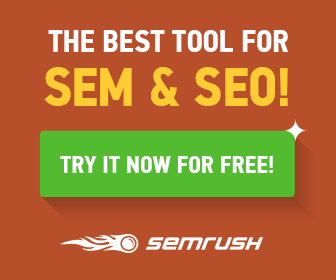 the best SEO tool you can get right now! Serpstat is listed as the top SEO tool! Serpstat has over 100 million keywords, 180 million ads and 200 million search suggestions. The database is ever rising and is now parallel to the major SEO tools like SEMrush. Serpstat is widely used as a popular SEO tool by as many as 30,000 online SEO professionals, marketing managers and copywriters. Now that you have learned a lot about this product in general, let’s put together the tool’s features in view to learn how beneficial this tool can prove for your business. Domain Analysis: In this, Serpstat displays the overview of the domain. Using this, you can do an in-depth competitor research. You just need to enter your URL and domain, the tool shall return all the keywords that your blog/ site holds rank in. For an example, I’ve entered my website’s URL: crunchytricks.com in the search box below. As you may notice in the above screenshot, the tool has collected a great many keywords that the website ranks for on Google. According to Serpstat, the entered website ranks for 30,244 keywords. The traffic the website gets on an average is around 206k. Serpstat is the only tool that performs close enough to Google Analytics in displaying the data and traffic accurately. You may note that the number of keywords is way more than required. In this backlinks section, the number of new and lost backlinks, new referring pages a domain has been displayed. After studying the overview, you may click on the individual modules to dig further into the analysis. This feature presents keyword ideas. Using this feature, you may include any of your blog posts to display the other keywords that you could possibly use to improve your ranking in comparison to other competitors. Aiming to include these missing keywords into your further articles shall help you engage substantial amount of traffic on your posts. Next time you are drafting a blog post, keep a check on your top 10 competitors for the keyword of your blog post. Check for the missing keys and target them in your content. And voila! You’re now good to compete! With SEO research, you get to know the exact keywords your site ranks in. Also, the Serpstat tool also displays the volume of keywords, CPC, and other data. You can also use this tool for stealing keyword data from your competitors and creating an impressive blog. The keywords are available from multiple domains like Google US, UK, etc. Periodically, Serpstat is improving its Google databases more country- specifically. This feature helps greatly in competitor research in paid marketing. As you can see, it’s empty out here because there are no running paid campaigns on this blog. This PPC research feature is very much similar to SEO research. But unlike SEO research, it displays you the keywords your company is running for its paid campaigns using Google AdWords. In PPC research, there is also an available domain vs domain research to compare two or more domains for user traffic. If you wish to write on a particular topic and have decided to write on it, you can do some research on it before proceeding. You come across the relevant keywords by entering your keyword you wish to follow in your blog in the search box. For eg, here in the screenshot, I have entered- “writing a blog”. Serpstat returned me 259 keywords related to the main searched keyword. Also, the tool shall return the trending keywords and the data is accurate because it is presented by Google Trends. Backlink data in one click: You get a full detailed analysis report using Serpstat along with a list of anchors with referring domains and pages. It also monitors the backlinks of your competitor’s website. Backlinks data over 120 days: Serpstat can record all changes in the domain link’s profile for over 120 days. Daily results: You can keep track of a practically unlimited number of keywords daily. So, get the latest data keeping an eye on your competitor’s performance. Global city-based tracking: You can also find out the rankings of your keywords in Google and Yandex in any country and language. Overall, Serpstat is surely one of the best SEO tools to use. It offers a free plan for new bloggers and marketers to try them out before actually buying up a plan. The prices are also cheaper in comparison to similar SEO tools in the market. So, don’t think twice and get this tool definitely. You may choose your plan according to your choice for a month or a complete year! That’s all about the Serpstat review. In case of any further queries, we shall surely help you out.